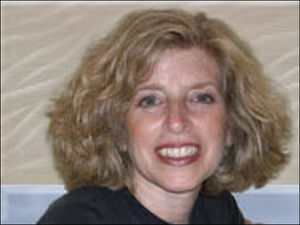 Beth Shulman (born 1950 in Los Angeles, died Feb. 5, 2010) was a lawyer, author and union leader based in Washington. Her surname is sometimes spelled, Schulman. She first married Mark Kaufman and then Ernie Englander with whom she lived for fourteen years, and had a son, Aaron Shulman-Englander. Shulman became assistant general counsel at the United Food and Commercial Workers Union in 1976 and worked for the union until 2000, with her last 13 years there as international vice president and executive board member for the 1.4 million-member organization. 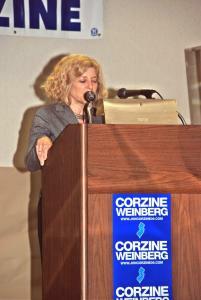 On Oct. 20, 2009, Shulman was the keynote speaker at the 31st Annual Shop Stewards Seminar, hosted by the UFCW. Here she made the comment, "Today there is only one job for every six American workers." Other speakers at the seminar were: Union president, John Niccollai; Union Executive Vice President, Patrick J. O'Neill; Passaic County Democratic Committee Chairman, John Curry; Governor of New Jersey, Jon Corzine; Dr. Michael Credico; Frank Hanley; comedian, Jeff Justice and Beth Schulman. On May 3, 2007, Beth Shulman spoke at the Failure of Conservatism Conference, sponsored by Campaign for America's Future. During her speech she attacked Conservatism as being anti-family, stating that it means disaster for American families. She then accused Conservatives of rabid individualism. She stated: "Today it is only the wealthy who have the resources to provide their children the tools to succeed in our new economy. Early childhood education, health-care, good public schools, and the ability to go to college. The rest of America's children just have to do without." In 2008 Beth Shulman served on the board of directors of American Rights at Work. In 2009 Beth Shulman was a Senior Fellow of New York based think tank Demos. Shulman has served on the following boards: National Employment Law Project, the Center for Economic and Policy Research and Wider Opportunities for Women. She also served as a consultant to the Communications Consortium Media Center and the Russell Sage Foundation. This page was last modified on 14 July 2010, at 02:18.